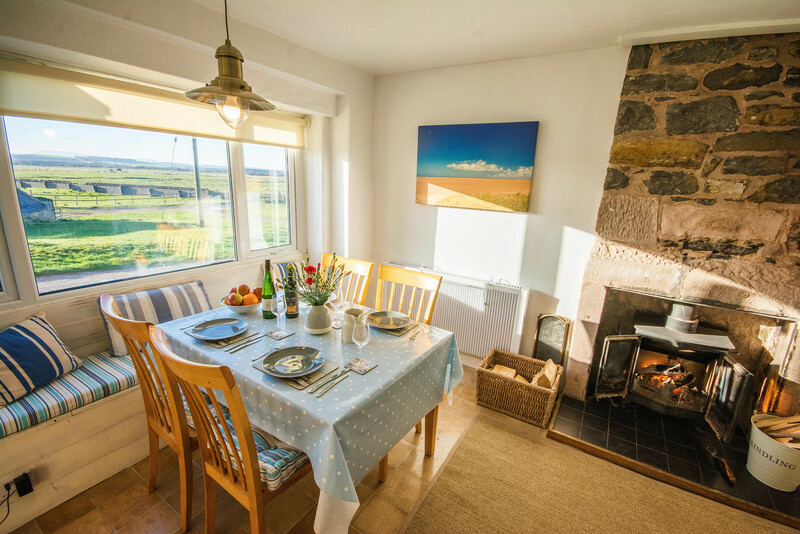 Beachcomber Cottage, beach holiday accommodation Northumberland. There are many things to consider when planning your holiday, but location is usually the most important. 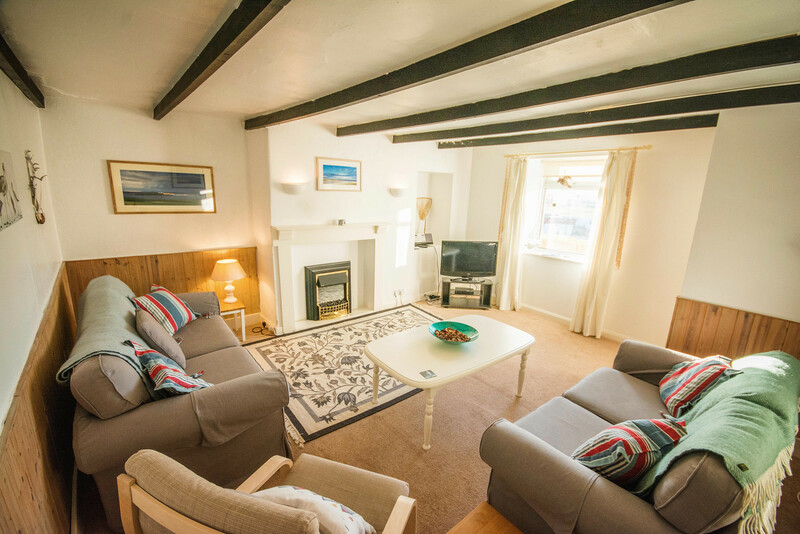 We think that Beachcomber Cottage is hard to beat! 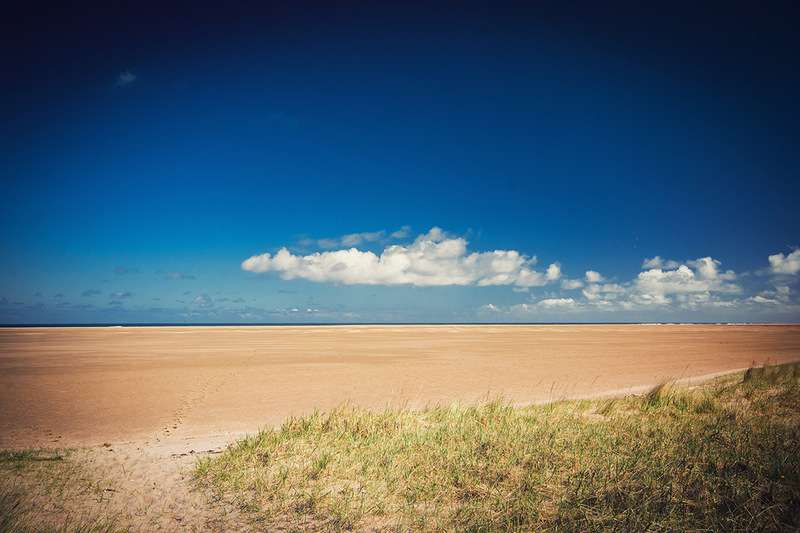 Situated right on the edge of the beautiful Goswick Sands, you’re able to walk onto one of the country’s most unspoilt beaches in less than a minute. 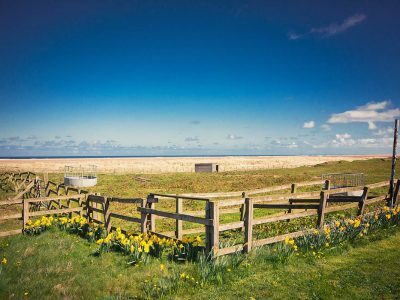 Berwick is seven miles away, Holy Island, Bamburgh and Alnwick are near too, so there’s plenty to see and do. 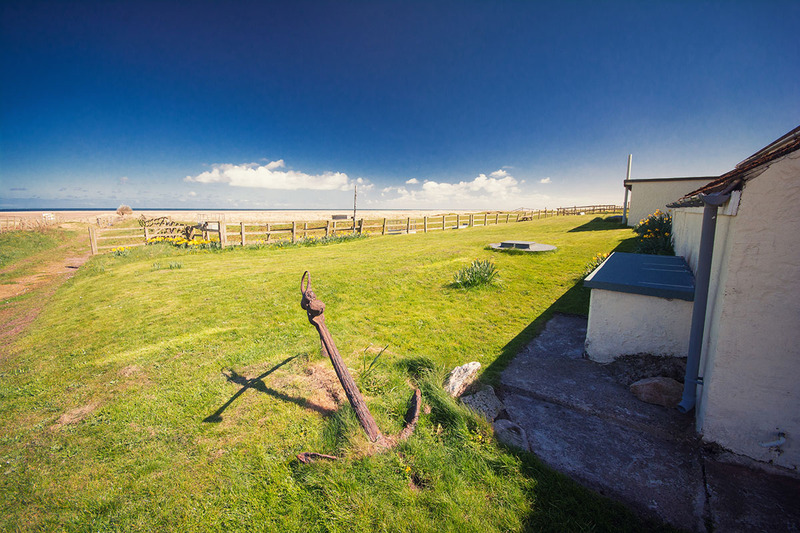 Beautiful sandy beach right on your doorstep. 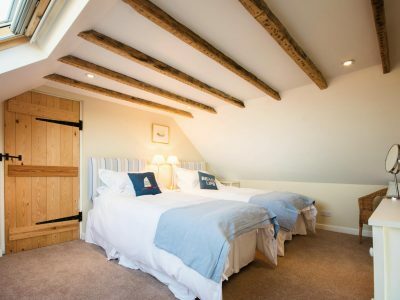 Comfortable rooms, with plenty of natural light. Close to many local visitor attractions. Peaceful location, but local services not far away. Sleeps 4-6 (two bedrooms plus sofa bed). The best view in Northumberland? 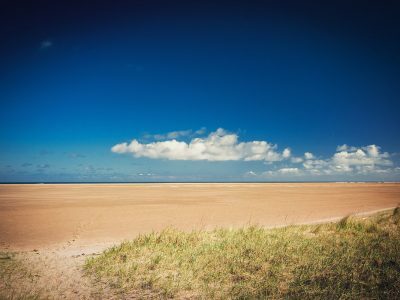 Within less than a minute you can be on Goswick Sands, one of the most beautiful stretches of beach in the whole of the country. 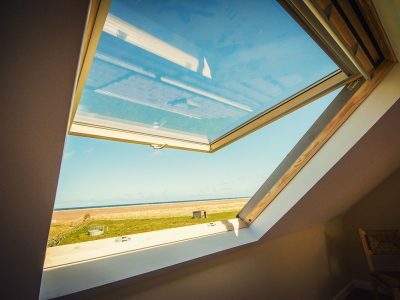 We’ve put large windows in the roof of both bedrooms, but when you want to sleep blackout blinds mean you won’t be disturbed. 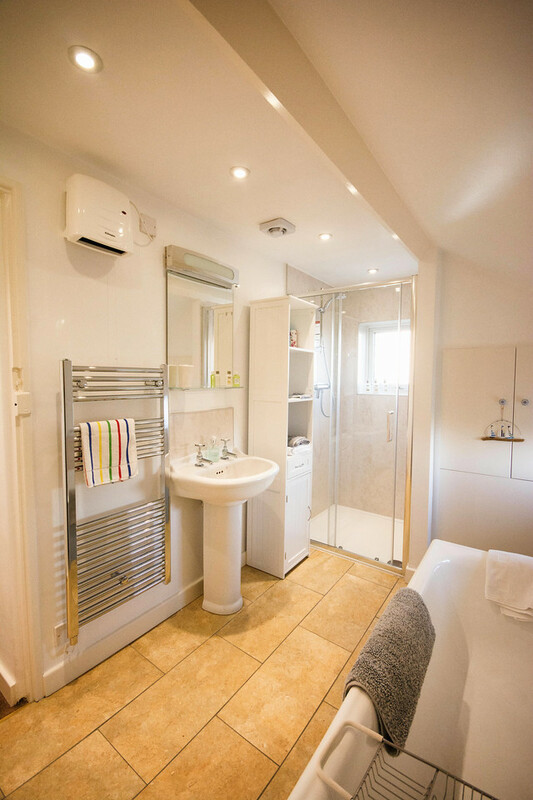 There’s plenty of space in our well equipped kitchen / diner, with all mod-cons, but within a traditionally styled space. 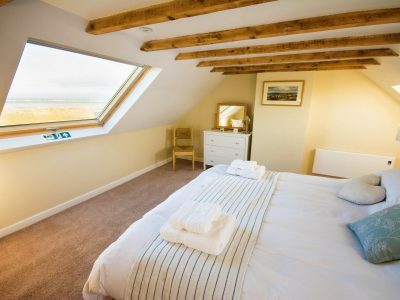 One double bedroom (with super king size bed) and one twin room, both with top of the range mattresses and bed linen. 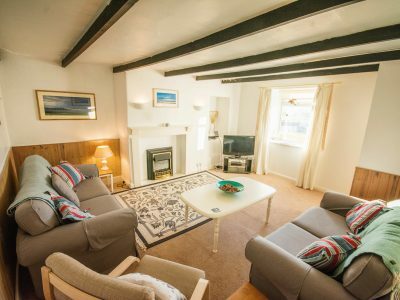 Spacious beamed sitting room with large sofa bed for + 2, dining kitchen with stove, electric cooker, fridge freezer, washing machine. 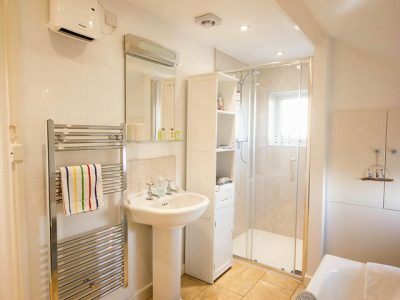 Bathroom with bath and power shower. Sunroom. 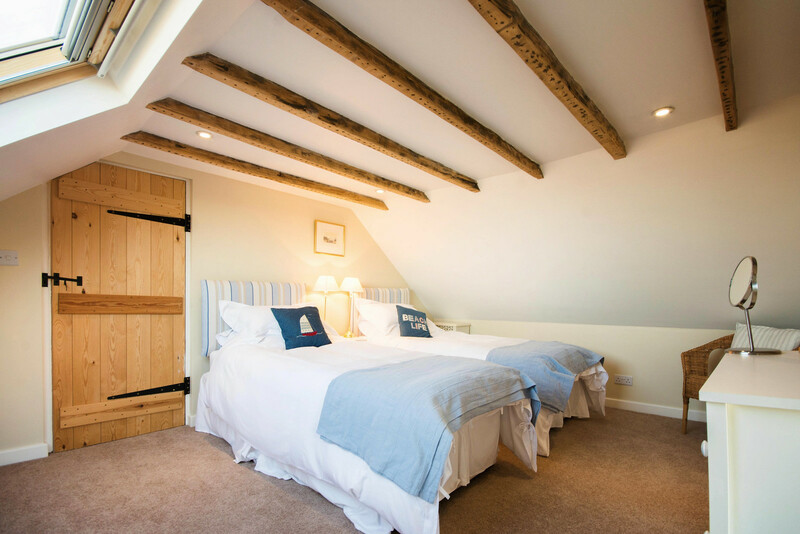 The upstairs ceilings are low with beams: bedroom with one super-king and one twin bedded room, both with bedside USB sockets. Duvets with linen and towels all provided. Electricity and electric CH, logs and coal included. television, blue ray, dvd and sound system, radio. Wi-Fi (limited, we are at the end of the line!) Telephone, USB charger sockets, Blue tooth speaker, Electric cooker. Microwave. Fridge-Freezer, Washing machine. Mobile reception good depending on network. Grassed area with furniture. Off road parking for 2 cars. Bar/restaurant 2.5 miles. Shops/PO/pubs/restaurant/TIC 7 miles. Dogs welcome in the kitchen. 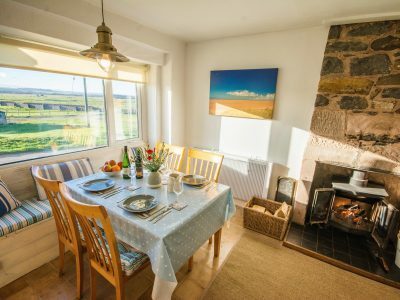 Summer/Winter/Short Breaks; any start day, minimum let 3 nights. The border town of Berwick-upon-Tweed is 7 miles to the north; situated at the mouth of the river Tweed and offering a wide range of shops, galleries, pubs, restaurants and cafes. 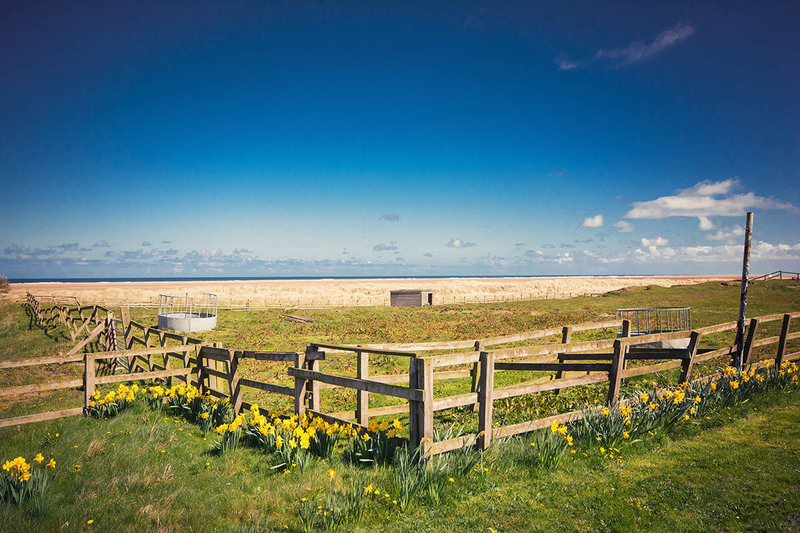 Holy Island causeway is a walk along the beach away; On the island the iconic Lindisfarne Castle designed by Lutyens with a garden by Gertrude Jekyll, delicious local crab sandwiches to be eaten here. 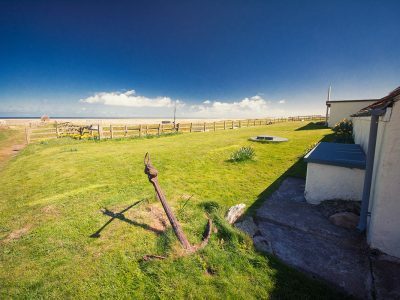 A little further south is Bamburgh: images of the magnificent castle are well known to many worldwide and the beach here is nearly as spectacular as Goswick. 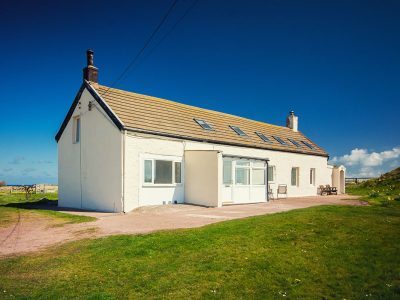 A few miles further is Seahouses, great fish and chips here, plus boats to take you on a trip round the Farne Islands and, at most times of the year, the chance to land on the National Trust owned (bring your NT cards) Inner Farne and see puffins, terns and many other birds. Down the coast a step is Craster, from whence come the eponymous kippers and a walk to the spectacular Dunstanburgh Castle. Alnwick with its castle, where many scenes from Harry Potter were filmed, and home of the world famous Alnwick Garden is just down the A1. The beautiful Cheviot hills can be seen from the cottage. The main east Coast line stops at Berwick making access to Edinburgh and Newcastle very quick and easy. 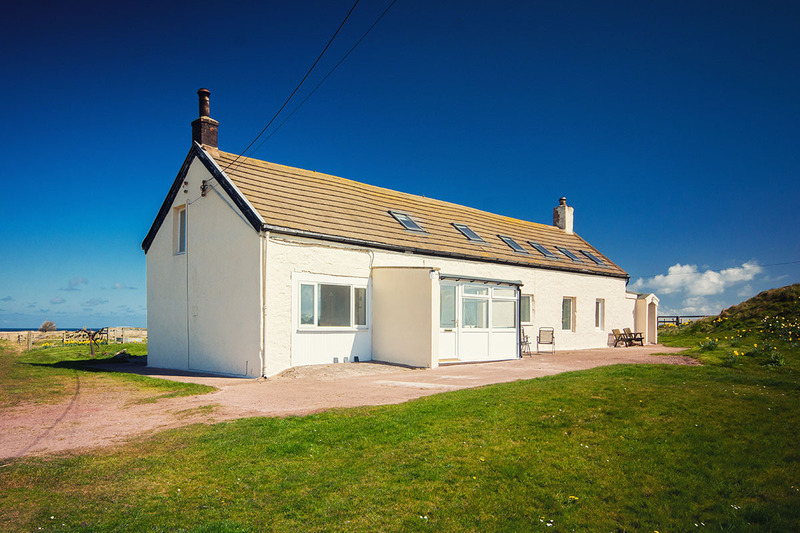 Goswick Links Golf Club is right next door, and Kimmerston Riding Centre can take you cantering over the sands. There are also glider trips and bike hire facilities nearby. Low £415 £332 £291 January, February, March, November, December. Mid £485 £388 £340 April, May, October. 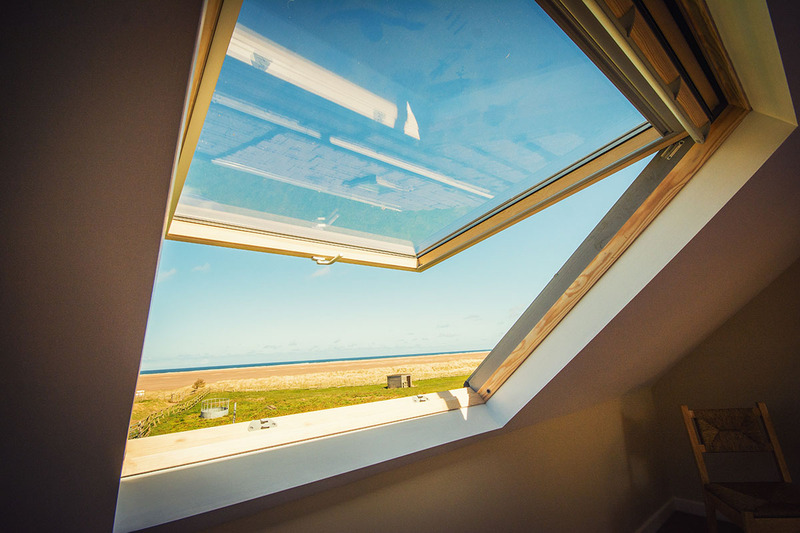 Mid-High £595 £476 £417 June, first half of July, September, October half term. 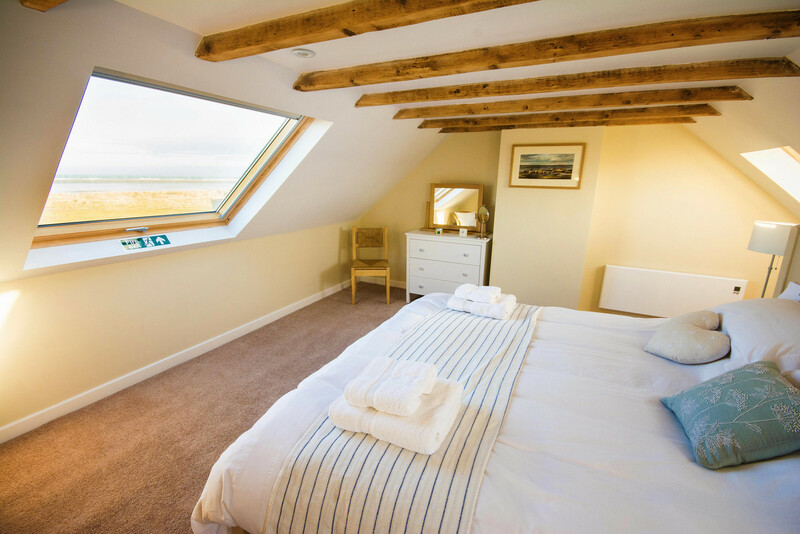 High £765 £612 £536 Easter, May half term, second half of July, August. Festive £795 £636 £557 Christmas, New Year.